Your best bet is to arrive as early as possible. Sydney City is undoubtedly the most popular place for Sydney shoppers, particularly up and down Pitt Street Mall and George Street. Yet there are numerous Westfields, shopping malls and retail strips outside of the CBD offering just as many discounts and deals as the big names. Beat the rush by going where less people go and you’ll have a great shopping trip, even if you don’t get out too early. Try King Street in Newtown or Crown Street in Surry Hills to snap up some more unique-style bargains. Sale periods can vary in length, from flash sales on the day through to long running seasonal sales. Historically, Boxing Day sales at department stores run from the 26th of December through to the 15th of January. If you’ve got plans on Boxing Day, or are too busy nursing a food baby to get out on the 26th, then don’t fear, you’ll still be able to find the great deals and discounts throughout other holiday periods. Sydney’s QVB (previously known as the Queen Victoria Building) dates back to 1898 and is one of the most renowned shopping destinations in Sydney and a historic icon in its own right. The elaborate Romanesque architecture is simply jaw dropping, whilst the array of designer boutiques the QVB houses is seriously impressive. Browse art, antiques, jewellery, crafts, fashion and more. Located in the heart of the city, it’s one of the biggest department stores in Australia. Beware, this kind of shopping experience is not for the faint hearted! Be prepared to face some serious crowds, no matter what the time of day during summer. Just as the name suggests, Harbourside Shopping Centre is located along the waterfront in Darling Harbour. Though not as large as some of the other shopping district in the city, it is perfectly placed to offer a unique shopping experience to in a convenient and iconic location. You'll find unique souvenir stores like Kangaroos and Koalas, the John Chen Art Gallery and Sunglass Spectacular. There's also plenty of dining, view terraced warriors and views of the harbour and city, a day at Harbourside is not to be missed! Situated on the outskirts of the Sydney Olympic Park precinct and only a stone's throw from beautiful Bicentennial Park, Homebush’s Direct Factory Outlet is a shopping centre devoted entirely to discount outlets. There's over 100 stores that cater to every taste, from Aussie brands such as Billabong and Bonds to international names just as Levi’s and Tommy Hilfiger. Massive redevelopment in 2014 saw the addition of 800 car spaces so you will be certain to find a spot, even on the busiest shopping days of the year. It's about a half hour drive from the city and there's plenty of public transport options as well. With over 120 stores to choose from, Birkenhead Point offers premium outlet shopping overlooking Drummoyne’s stunning waterfront. With views of the city this waterfront shopping precinct has historically offered great summer deals on a number of local and international brands like Oroton and Nike. Buses run frequently from the city (head to the QVB), or it’s a short drive over the Anzac Bridge and up Victoria Road. Having recently built a name for itself with dozens of new developments, Alexandria and the surrounding suburbs south of the CBD have for years been home to some of the best outlet shopping in Sydney. On most weekends you’ll find bus tours taking adventurous deal seekers around the neighbourhood, but you don’t need a tour guide to find the best deals in Alexandria this summer. Sports lovers will find incredible discounts on quality sports shoes and athletic wear at the Puma and New Balance outlets. These stores are next to each other on Botany Road north of Green Square station. Along this strip you’ll also find the Ron Bennett outlet. On McEvoy Street you’ll discover Cotton On, the Seafolly Outlet and some other mixed label stores. While Victoria’s Basement offers great homewares at affordable prices. Back on Botany Road, the Sunbeam factory outlet is a top notch spot to pick up your white goods, whilst Allans Billy Hyde is right next door for music enthusiasts of all stripes. Getting to Alexandria from the city is an easy 10 minute trip. Simply take the green line (East Hills) to Green Square and disembark. If you're looking for some nibbles, try the area around Fountain Street where several quality eateries are lined up to serve. If you’re driving, you might want to check out The Grounds of Alexandria as well. 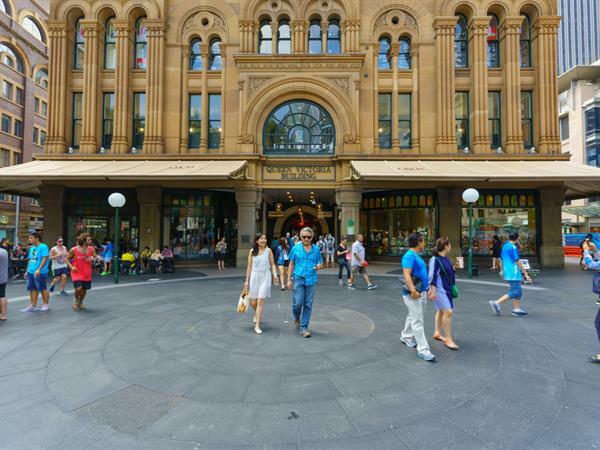 When it comes to shopping, Sydney is a city that is certainly not lacking. No matter where you’re located in Sydney, there’s no doubt an incredible shopping experience is just around the corner!